The project includes an Ocular diseases screening software that uses noninvasive method to prediagnose serious conditions (such as Diabetes & Glaucoma), by making high-resolution scans of the patients eyes. The scans are sent to the cloud-based software. 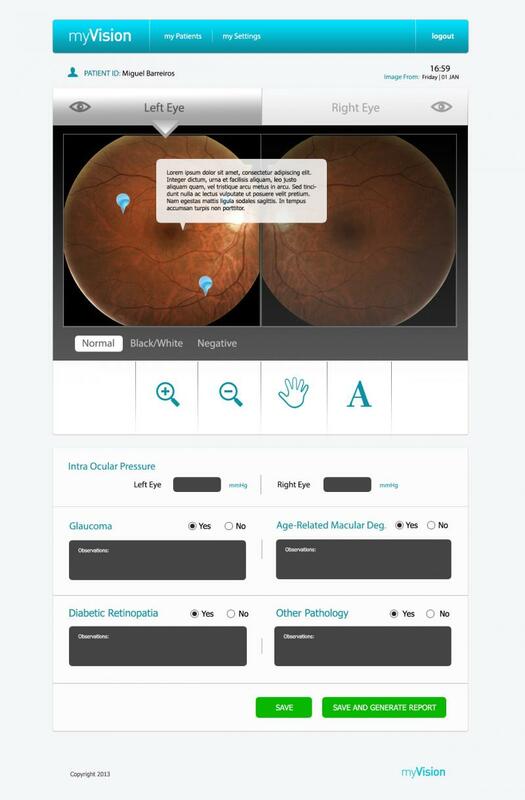 This enables MyVision to perform scans at any location, send them through an automated distribution of patients - to a network of Ophthalmologists who evaluates the images and issue a report back to the patient. The digital screening takes only 10 minutes. Maximum 72 hours later the patient receives a detailed report covering a series of serious conditions + suggested actions. This means a patient in Dubai can get his eyes scanned locally. The image analysis is then performed by an ophtalmologist in Portugal and the report delivered back to the patient within 72 hours. Result: High quality & fast respons - at a competitive price. 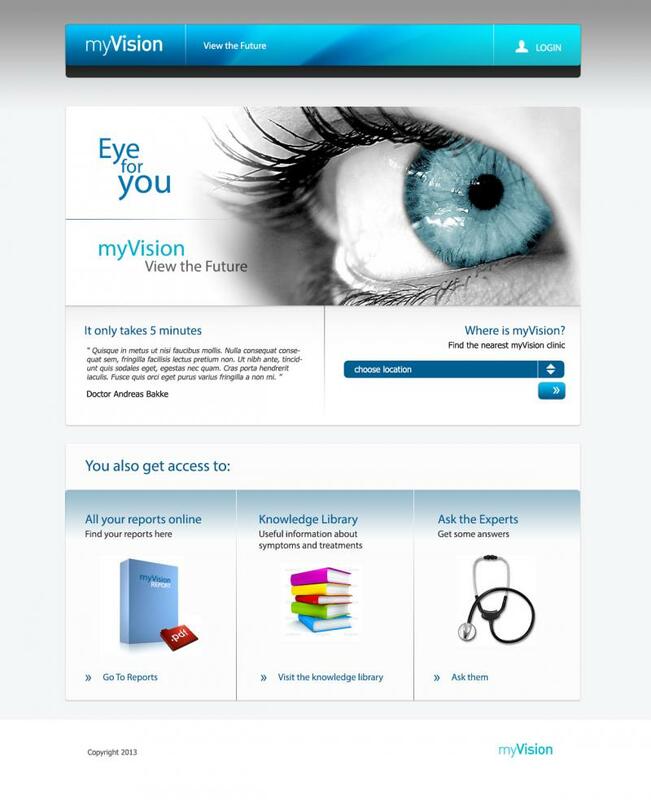 When performing the scan, a patient record is created on a laptop connected to the ditigal retinographer, using the MyVision Software. The equipment is handled by a technician. Scans + patient data are transfered to the cloud software. 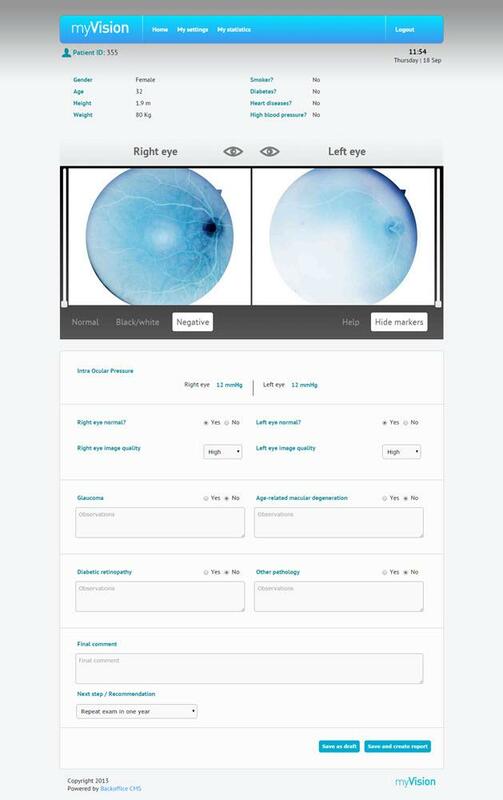 Different image versions are generated automatically and an ophtalmologist is assigned. The doctor logs in on a website, performs an analysis & evaluates the patient using the tools available, directly in the cloud. When completed, a complete report is automatically generated and distributed to the patient. Scans and patient data are never stored together. Doctors or technicians do not know the identity of a patient. No patient records are kept in the cloud after the report has been delivered. The software is available in the United Arab Emirates and Portugal. Future focus locations include France, Denmark & Norway.